Sera Somay is the partner heading the banking and finance practice at Paksoy, with a specific focus on Islamic finance transactions. She works on syndicated and club loans for financial institutions and corporates, acquisition financing, secured financing and other structured financings. Sera advised on the first international sukuk issuance by the Republic of Turkey and the first sukuk issuance by a Turkish Islamic bank. 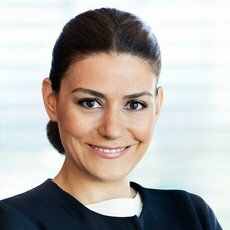 She also works on murabahah syndications of Turkish participation banks as well as their annual sukuk issuances. Sera also advises on regulatory mergers and acquisitions across a variety of sectors with a focus on banking M&A transactions.